The Pulitzer Prize is not just for Journalism. Vijay Seshadri has captured the 2014 Pulitzer Prize for Poetry for his third collection of poetry, the perplexing 3 Sections. The New York-based poet and educator was recognized by the Pulitzer committee for, "a compelling collection of poems that examine human consciousness, from birth to dementia, in a voice that is by turns witty and grave, compassionate and remorseless." 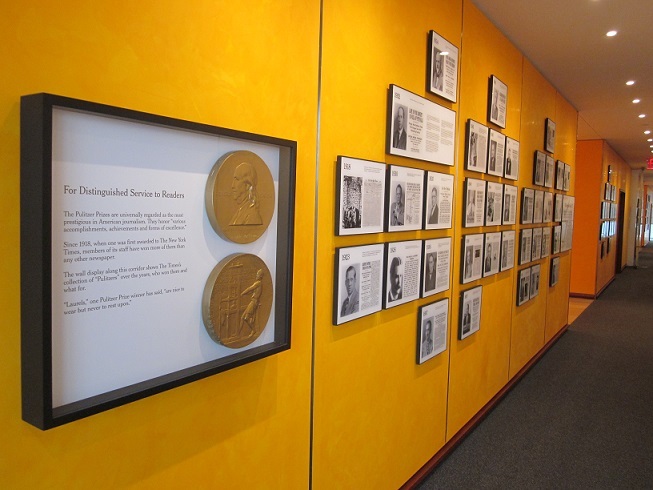 While most of the headlines generated by the Pulitzer prize winners will focus on the 14 journalism categories, Pulitzer's are also awarded in Letters, Drama, and Music. Poetry, typically relegated to a footnote when the Pulitzer prize winners are announced, has been awarded annually since 1922. Edwin Arlington Robinson won in 1922 for his Collected Poems. The first ever Pulitzer for Poetry was awarded to Sara Teasdale in 1918 for Love Songs. Carl Sandburg (Corn Huskers) and Margaret Widdemer (Old Road to Paradise) were both honored in 1919. The three earliest Pulitzer Poetry winners were made possible by a grant from the Poetry Society. Seshadri, a native of India, came to America as a young child in 1959. While pursuing a career in letters Seshadri also spent five years in the Pacific northwest working in fishing and logging. This experience influenced his first collection of poetry, Wild Kingdom from 1996 that juxtaposes the wilderness with urban life. His second volume of poetry, The Long Meadow, won the 2003 James Laughlin Award from the Academy of American Poets. Praise for 3 Sections was enthusiastic from the outset. The Los Angeles Times Book Review wrote of a, "strong, almost reckless voice turning dark experience into an unrelenting sense of possibility." The American Reader noted that, "Mr. Seshadri is talented and assured enough to lay his self-consciousness bare on the page with a generous,fluid, avuncular wit reminiscent of W.H. Auden." Finalists for the 2014 Pulitzer in Poetry were, The Sleep of Reason, by Morri Creech and; The Big Smoke, by Adrian Matejka.